We provide different types of boilers to cater for different properties, and to best suit the way in which you use heating and hot water. Below are simple guides to illustrate the 3 different types of boiler and how the three main central heating systems work. We do not supply Oil fired boilers. 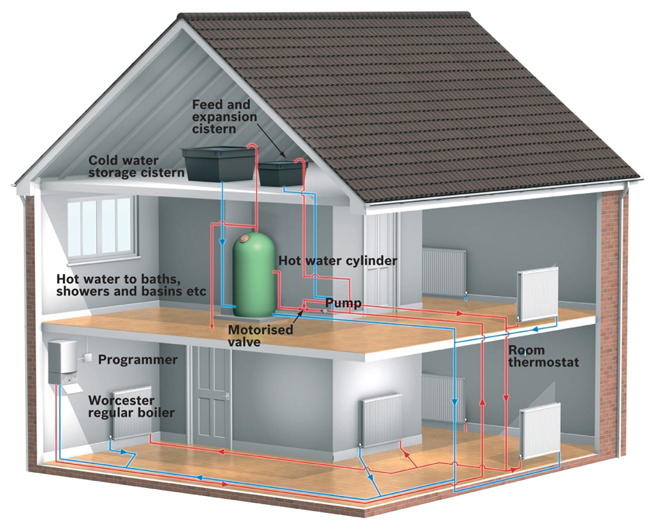 Central heating systems are at the heart of every home. However, a poorly designed system and an old boiler can be very expensive to run. Book a visit from one of our surveyors, who will suggest the best course of action to make sure you are not wasting money. Whether it’s replacing your boiler, upgrading your radiators or changing the central heating controls, rest assured that Gasco will deliver a bespoke solution to your central heating needs. 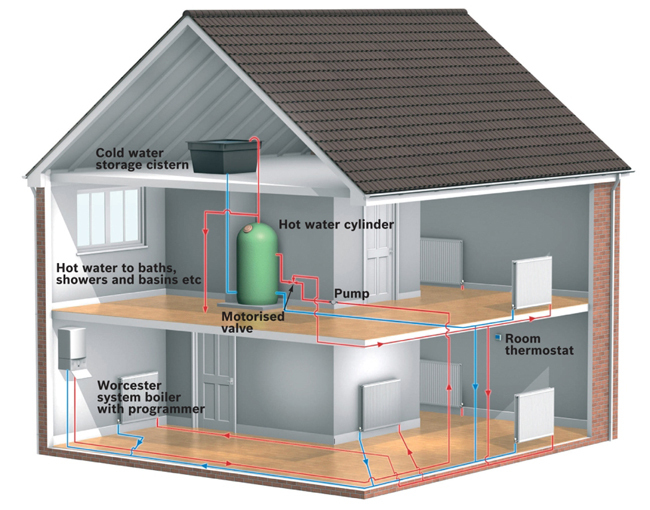 Below are helpful illustrations explaining the various components of a standard central heating system. home. However, a poorly designed system and an old boiler can be very expensive to run. Book a visit from one of our surveyors, who will suggest the best course of action to make sure you are not wasting money. Whether it’s replacing your boiler, upgrading your radiators or changing the central heating controls, rest assured that Gasco will deliver a bespoke solution to your central heating needs. Below are helpful illustrations explaining the various components of a standard central heating system.